Dress your bed with simple elegance. 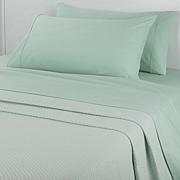 These unadorned sheets are dyed, not printed, and woven to be soft and smooth. Thanks to the brushed microfiber construction they're quite easy to care for. The mellow colors will set the mood every night as you drift off to dreamland. Get a set for every bed, then lay back and enjoy life. 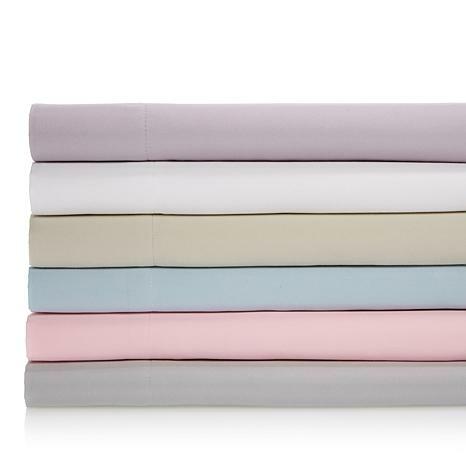 Softest, best fitting and coolest sheets. Hands down best sheets I've ever had. I've even started giving them as gifts! The feel of the sheets is so nice and comfortable. I have an extended queen size mattress from sleep number. It is an awkward size between a queen and king. This fit my mattress very well. I got the queen size from you. 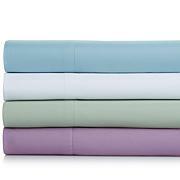 We've been sleeping on Concierge Collection Microfiber sheets for years. The brushed feel to these is just the icing on top. 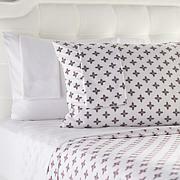 These are wonderful sheets!